But not so tough most moderately fit bicycle travelers can’t hack it. What counts most is commitment and a willingness to put up with some pain. 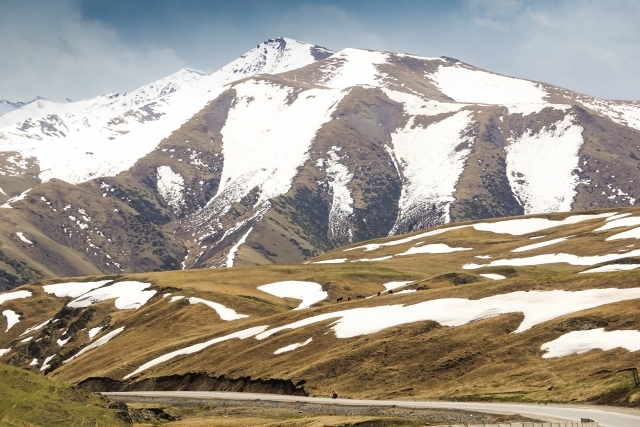 The Pamir Highway traverses harsh and unforgiving landscape. It’s both beautiful and bleak but rarely easy when you’re traveling on two wheels. It’s one of the world’s highest roads, playing second fiddle only to the nearby Karakorum Highway linking Pakistan with China. Majestic Ak-Baital Pass, topping out at 4,655 meters (15,272 ft) is the highest point of the lung-bursting route. If you’ve never cycled that high, don’t worry--it’s doable! Most of the climbs are long with a fairly gentle gradient most of the way. It’s usually just the final four or five kilometers that will test your mettle. The Pamirs are tough on the body and the bike. We busted a derailleur on the first pass and Eric had to limp all the way to Khorog with just two gears. 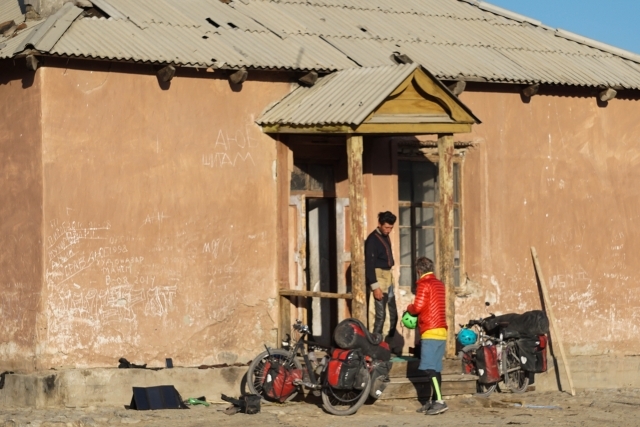 You will not find a single well-stocked bike shop in the Pamirs. We were able to buy a cheap Chinese made replacement derailleur at the market in Khorog (cost: $3) but let’s just say it wasn’t premium quality. 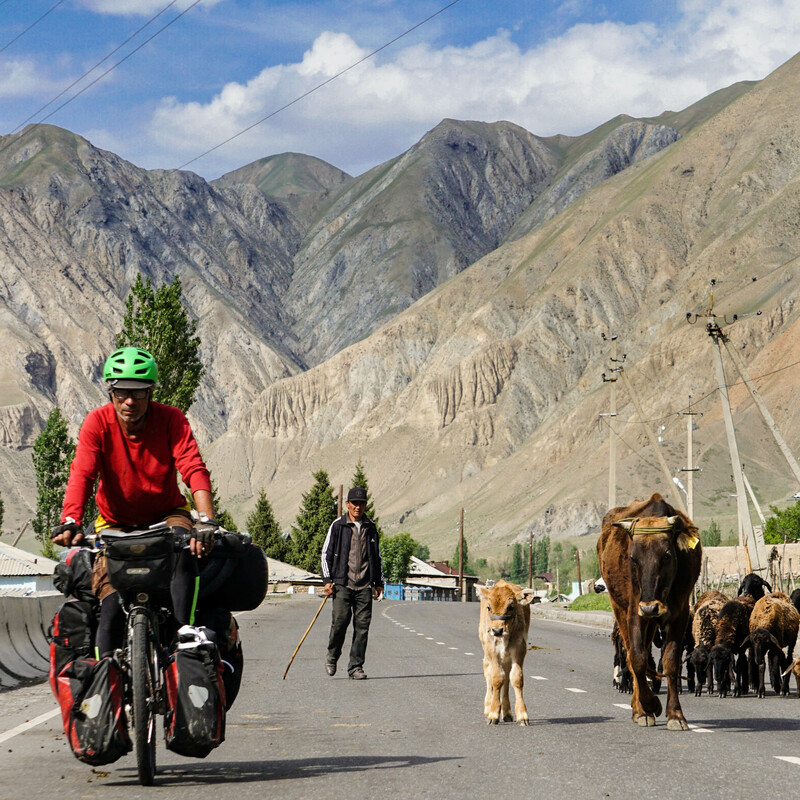 Lots of cyclists break derailleurs and racks in the Pamirs. Be sure your bike is in good condition before hitting the high mountains. Bishkek has some decent bike shops, including Gergert Sports on Gorky Street, where you can purchase quality Shimano parts and tires. Dushanbe is rather lacking in quality bike shops, but you can rustle up most spare parts at the bazaar. Check out Caravanistan for a full list of bike shops in Central Asia. #2 It’s a lonely landscape, but you probably won’t be alone. Over the past few years, cycling the Pamir Highway has become increasingly popular. July and August are particularly busy with European vacation cyclists. 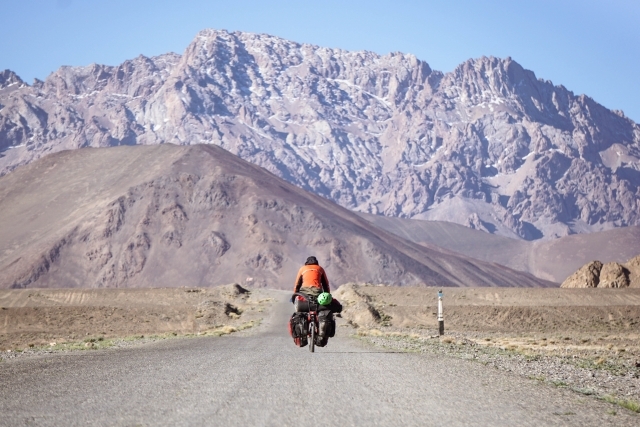 And of course, the Pamirs are a part of most multi-year touring cyclists’ itineraries. Don’t get me wrong. This is not Eurovelo 6 or the TransAmerica Trail, but you’ll probably stumble across at least one group of bicycle travelers each day. Even more common are leather-clad motorcyclists on monster machines and hearty overlanders in Land Cruisers blazing across the wide open terrain. 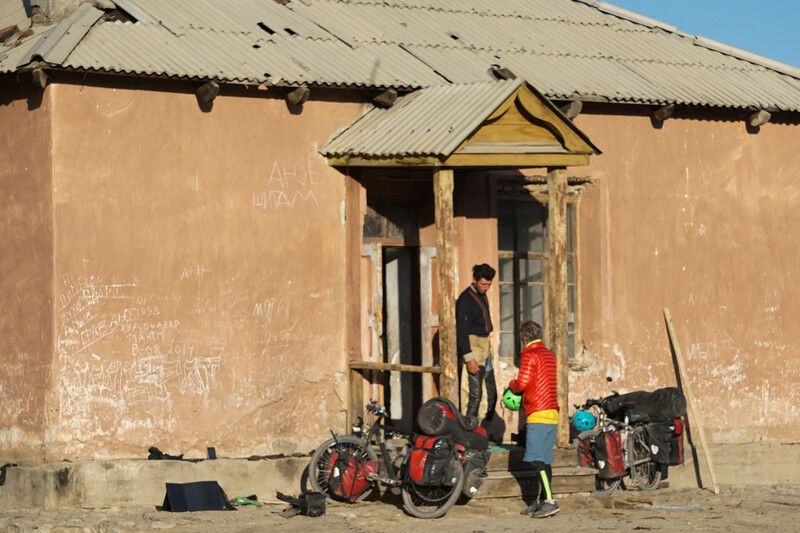 If you want to meet up with fellow cyclists, the most popular hangout is the Pamir Lodge in Khorog. Be warned, it’s a steep climb from the city center. 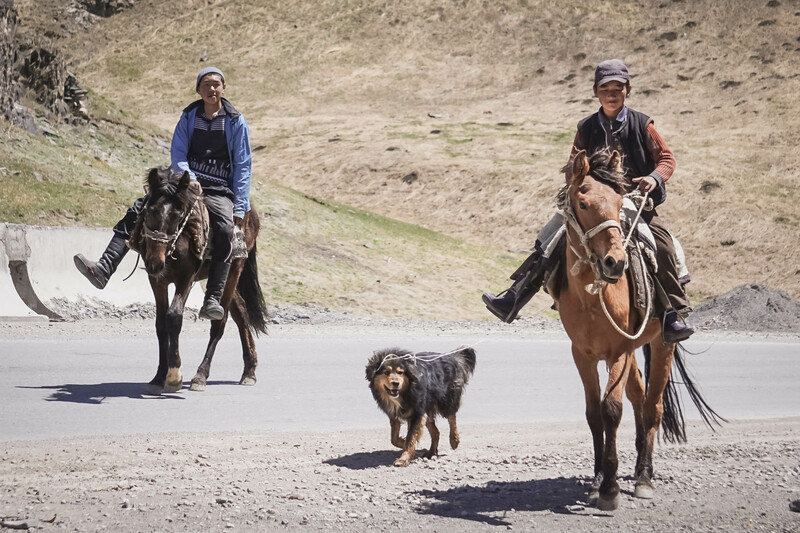 You don't need any special route finding skills in the Pamirs. 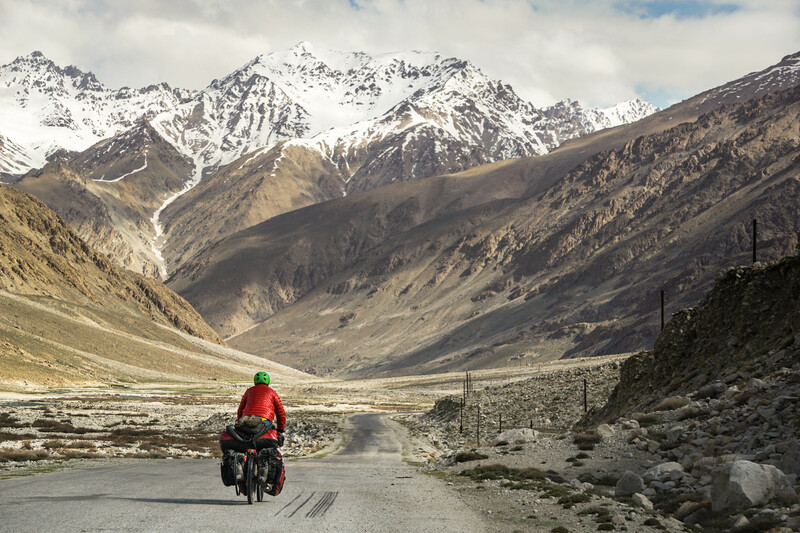 It is helpful to download the Maps.me app if you're bike touring in the Pamirs. 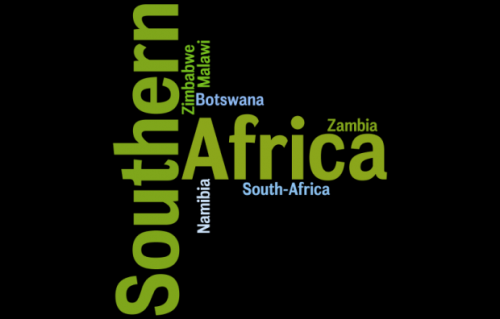 Shops, water points, guest houses and camping spots are marked throughout the region. 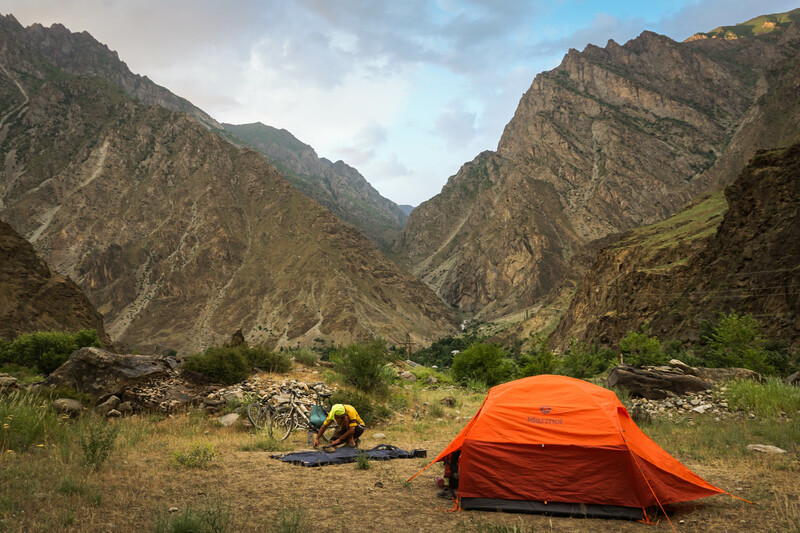 You can pitch your tent pretty much anywhere in the Pamirs. With stupendous mountain views and starry skies, you’re almost guaranteed an unforgettable experience. 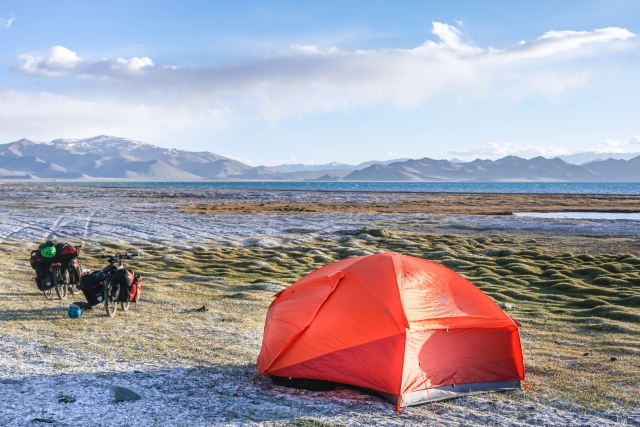 Even in mid-summer, temps can plummet to freezing, so be sure to pack a suitable sleeping bag. The only real downside to camping in the Pamirs is the wind. Often you’ll be camping in wide open spaces with little protection, so cooking and even pitching your tent can be a challenge. Luckily, the winds seem to calm during the night before picking up mid-morning. 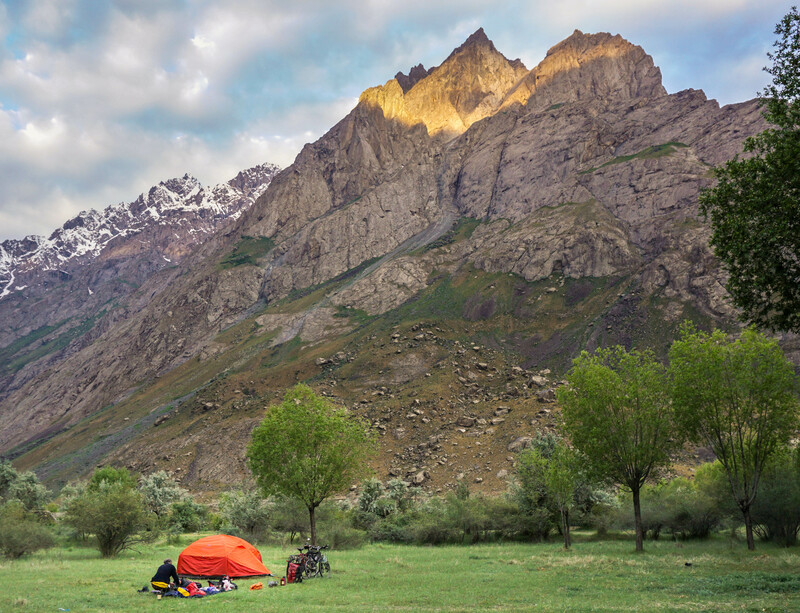 If camping's not your thing, don't worry beacause there are many homestays and guesthouses in the Pamirs. 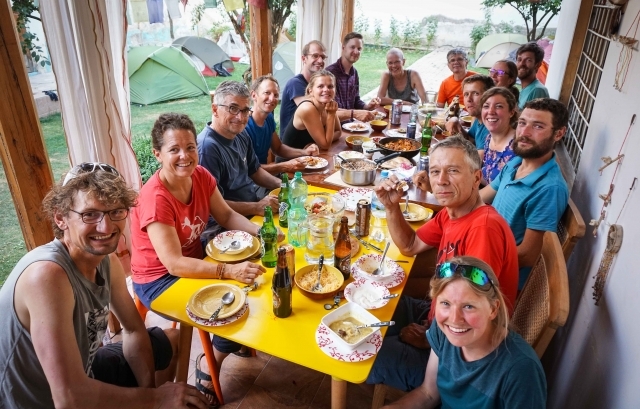 We met one German couple who did the entire route without sleeping in their tent a single night. That said, you should definitely pack a tent and carry extra food just to be safe. No matter which direction you’re traveling, you’re bound to get hit with some wind. But the general consensus is that those heading east have it easier. The climbs are also a bit gentler in that direction and you’ll save the highest pass (Ak Baital Pass, 4,655 meters/15,272 ft) for near the end when you’ll be fitter and better acclimatized. 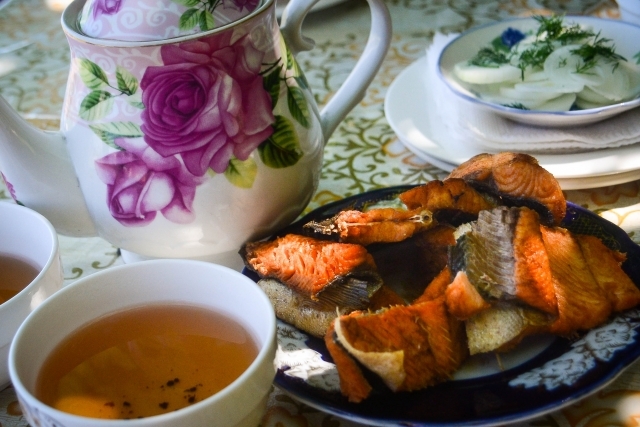 If you’re keen to shed a few pounds, the Pamir Highway’s distinctive dearth of taste temptations will help you along. 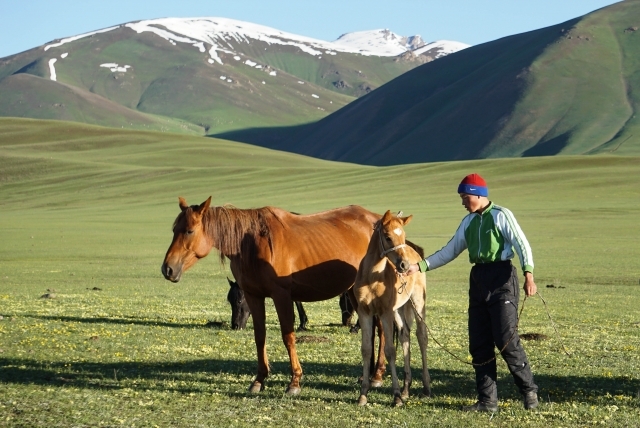 Fortunately, the food situation seems to be improving as tourism in Central Asia develops. If self-catering’s not your thing, it’s possible to take breakfast and dinner at a homestay. You’ll usually get some sort of meat concoction with perhaps some potatoes thrown in. Breakfast might be some porridge, bread, tea and perhaps a boiled egg. Fresh yogurt is a common snack. Some cyclists complain that portions are too small. Hosts are fairly used to vegetarians guests and can usually whip up something meat-free if requested. 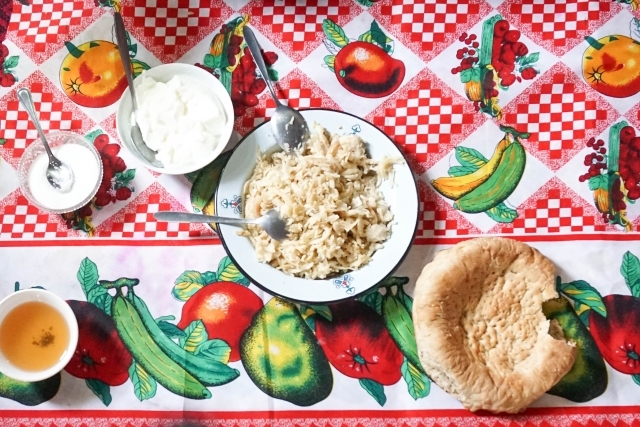 If you’re self-catering, the best spots to stock up are in Dushanbe, Khoorg, and Murghab (limited supplies, pricey). You can also find a fair selection of foodstuffs in Kulab, Kala-i-Khumb, and Darvaz. In a pinch, you can get limited supplies in Bulunkul, Alichur, Murghab, and Karakul. 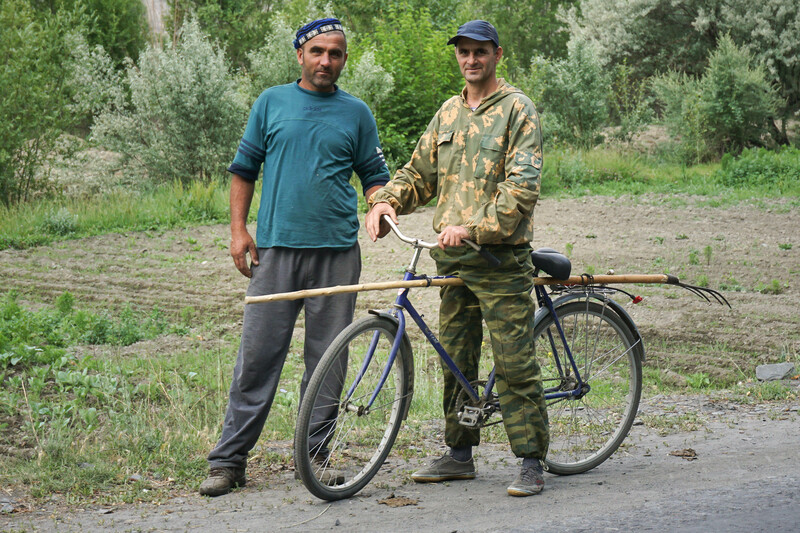 Those cycling the Wahkan Corridor can find limited supplies in Ishkashim, Vrang, and Langar. Village shops are not exactly bursting with food. At a minimum, count on finding cookies, Snickers bars, and some noodles. Bread is not always easy to get and oats for your porridge are really tough to find. Sticking to the official Pamir Highway used to be the default route for most bicycle travelers in the Pamirs. 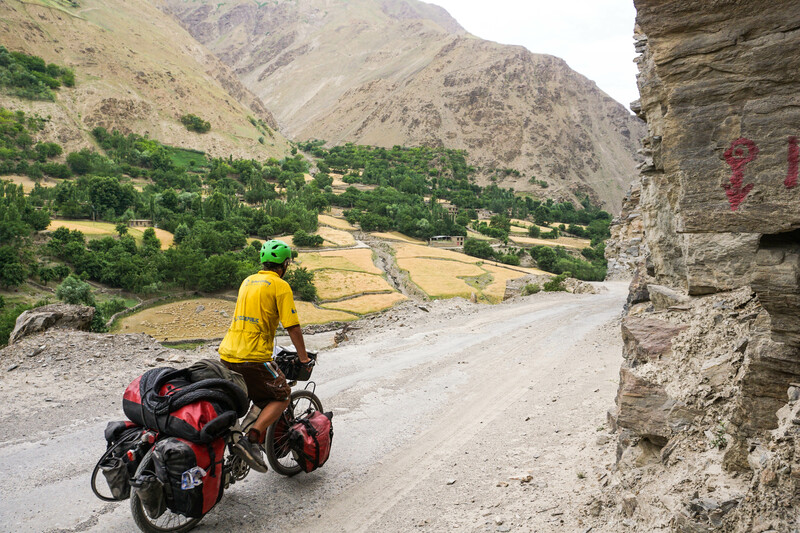 Recently that’s changed, and it seems more cyclists actually bike the Wakhan corridor than the official M41. 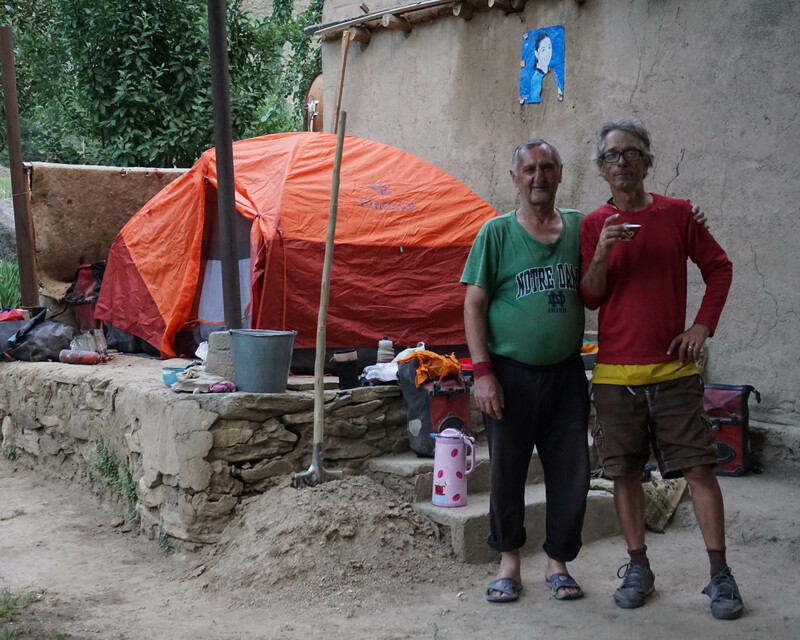 Locals in Wakhan do a good job catering to cyclists and you’ll find plenty of guesthouses and a few scattered tea houses. 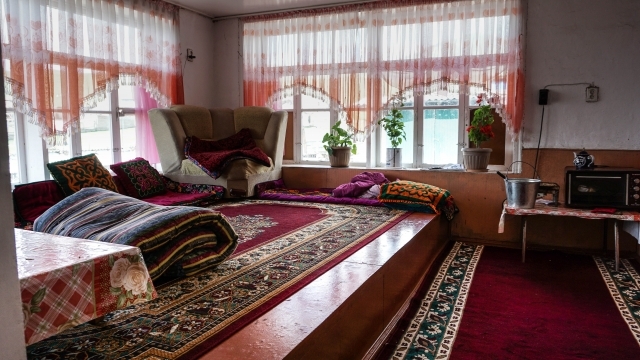 At the tourist office in Khorog (conveniently located in the city park), you can pick up a list of all the guest houses in the Wakhan Valley. You may have noticed that a long section of the Pamir Highway runs along the Afghan border. With all the kidnappings, car bombs, and killings, Afghanistan hardly has a stellar reputation for security. 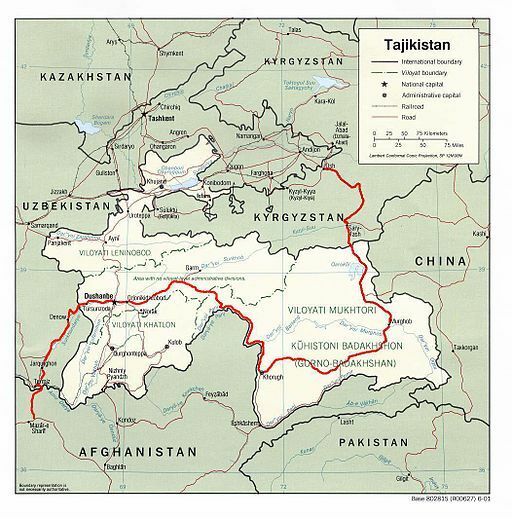 Fortunately, those difficulties do not appear to have spilled over into neighboring Tajikistan. Even the overly-cautious US State Department only advises normal precautions when traveling to Tajikistan. So rest easy, nobody’s likely to nab a scruffy cyclist on a beat-up bike in the mountains. #8 Central Asia visas are no longer a nightmare! 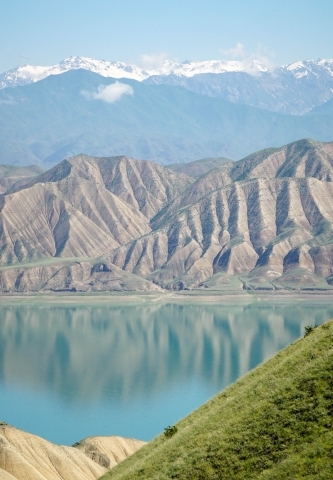 Most travelers from Western countries can now apply for their Tajikistan visa online. It’s a surprisingly simple and straightforward process. Just fill out the online visa application, pay for your visa online using a credit card, then wait for your visa acceptance email. Next, print out the visa and show this at the border crossing. The cost of the Tajikistan e-visa is $50 and you will be allowed to stay for 45 days. The Kyrgyzstan entry process is even easier. Most travelers will receive 60 days entry at the border, no paperwork to fill out in advance. Border crossings were hassle-free for us, but we have heard of some less-than-honest officials at the Tajikistan border with Kyrgyzstan. Best not to leave your valuables unattended with soldiers lurking about. 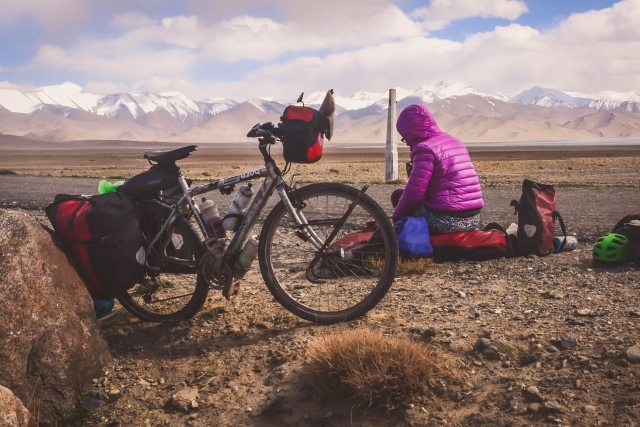 The Pamirs are a very popular bike touring destinations. 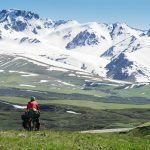 Many Europeans cycle Central Asia during their summer holidays and anyone on a long bike trip will surely squeeze it into their tour at some point. Given the steady stream of bike travelers, you might imagine locals would have grown tired of the small-scale tourist invasion. Not in the least. People are friendly and welcoming, just as though you’re the first cycle tourist they’ve ever encountered. 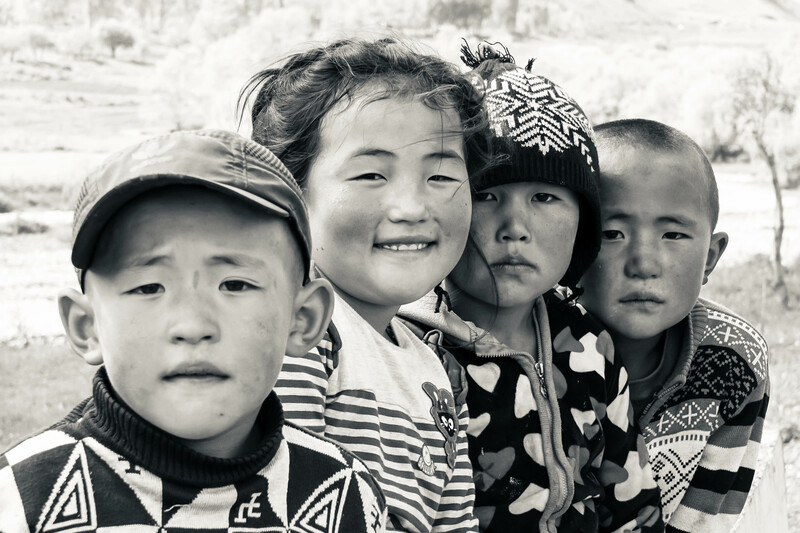 You’ll be invited for tea several times daily and kids will line the road for high-fives. And if you’re stuck in a jam on a mountain pass, the local road maintenance guy will surely invite you into his home to spend the night. Giving money in exchange for hospitality is not something I usually advocate (it can easily come off as insulting and offensive and may set a bad precedent for future travelers). 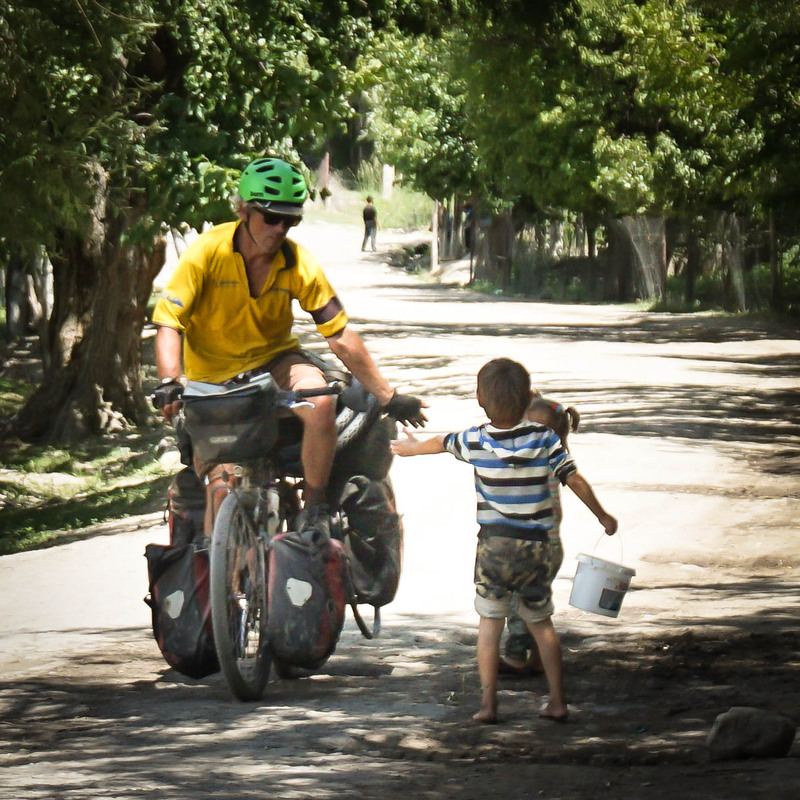 But the people of the Pamirs really are very poor, and feeding a few cyclists during the summer can be a drain on the family budget. 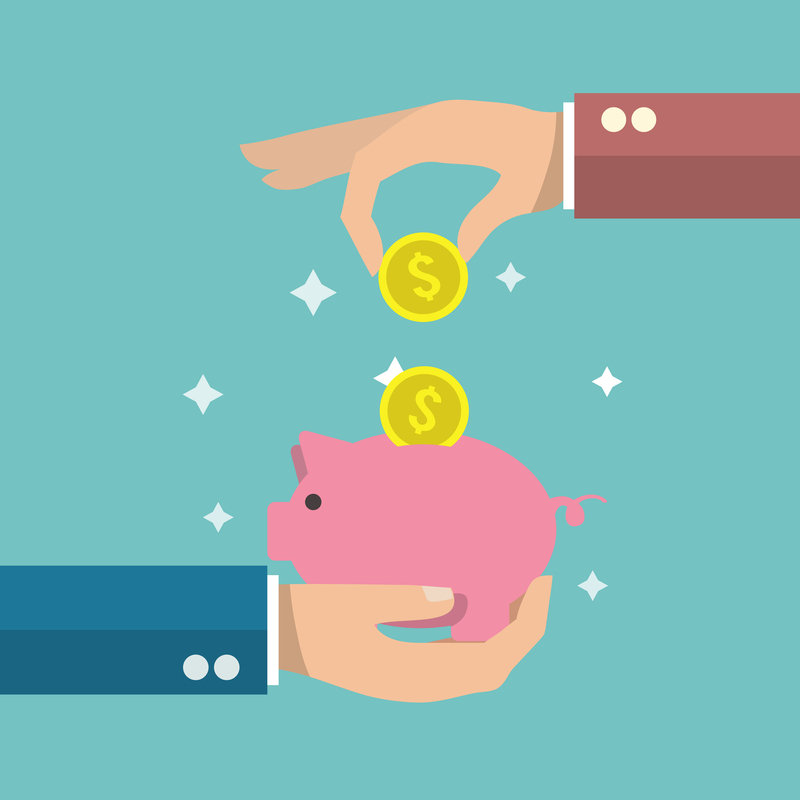 Slipping a few bills into the hand of your host as you say goodbye will surely be appreciated. Two alternate routes to the main highway or Wakhan valley road. 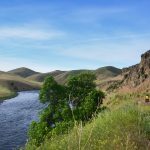 The Bartang https://ridewithgps.com/routes/16890107 is one of the least traveled alternate routes and you will rarely come across others who have pedaled it. 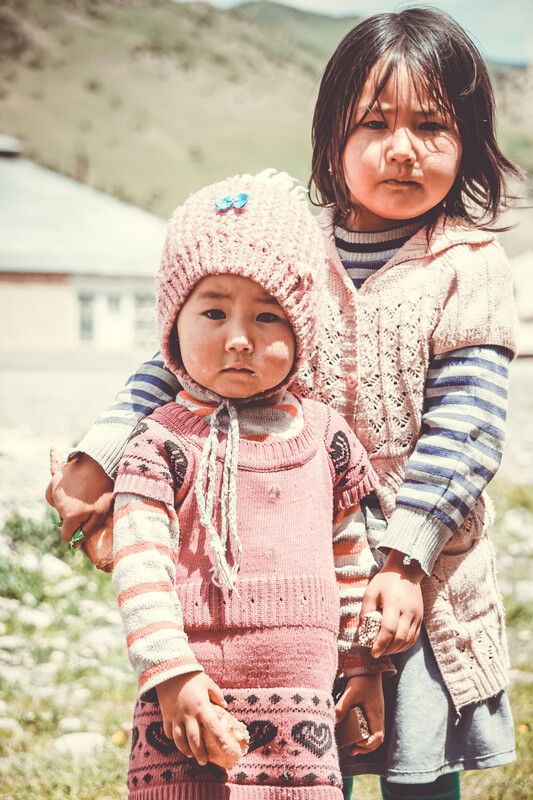 The road runs nearly 300 km through the Bartang valley and is notoriously bad in sections. There are also a number of river crossings and it is advised to ask beforehand if the road is passable. The scenery differs from the main M41 highway. 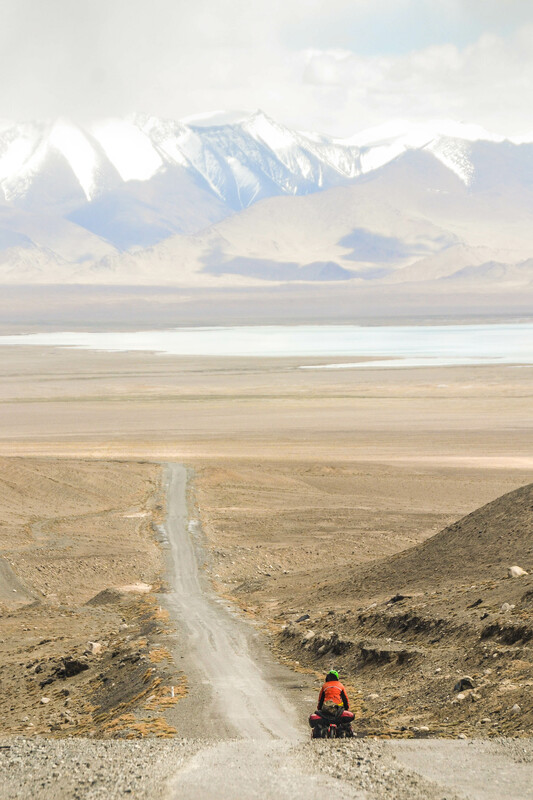 The M41 has expansive views over the Pamir plateau whereas much of the Bartang road leads through a narrow valley. 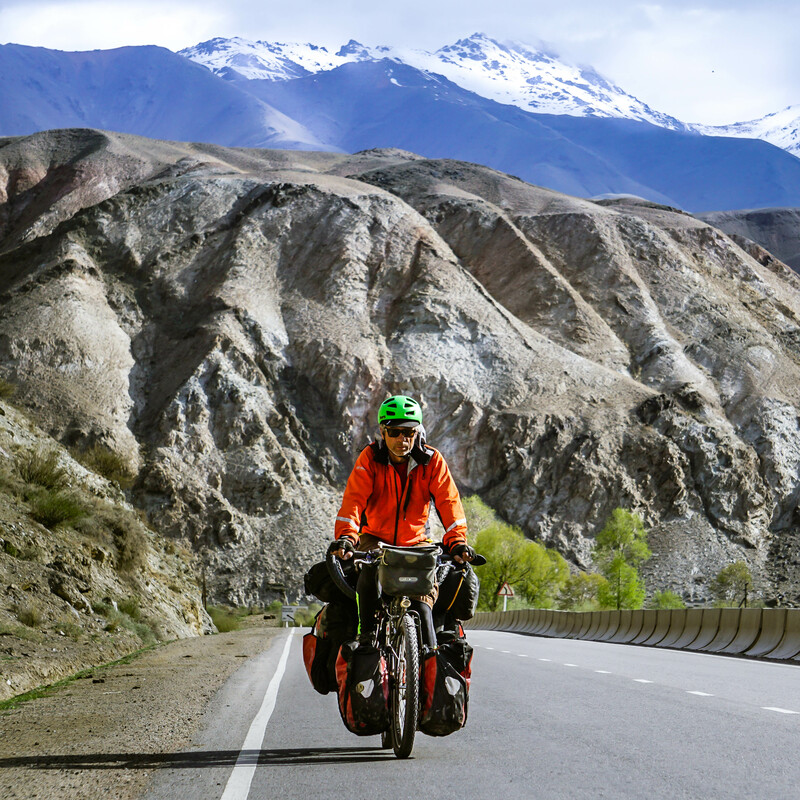 After viewing photos from the Bartang and the M41 main Pamir highway we chose to ride the M41 for two reasons; the scenery and road quality. We preferred the more expansive views over the Pamir plateau from the M41. Plus the majority of the M41 is paved (albeit badly in places) so we could stare at the surrounding scenery while riding instead of staring at our front wheel, trying to find the best route through rocky and sandy sections. 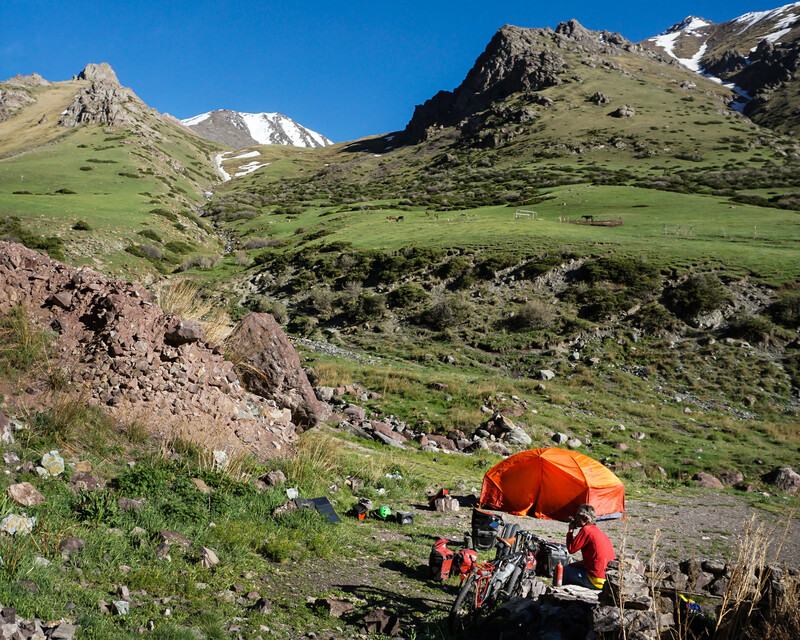 If you are more into mountain biking and prefer to “engage with the terrain” then the Bartang will be right up your alley. 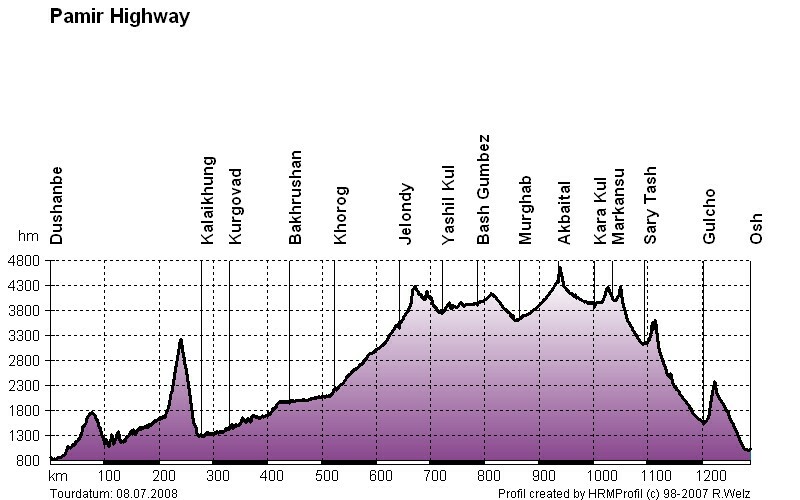 It’s also important to note that there is a 2,000 m elevation gain from the beginning of the Bartang route at Rushon to where it joins the Pamir highway at Karakul. From Karakul the paved Pamir highway descends all the way down to Osh, Kyrgyzstan. So the biggest factor in deciding which direction you wish to travel it is whether you prefer to pedal uphill on the ‘bad’ (Bartang road) or descend on it. 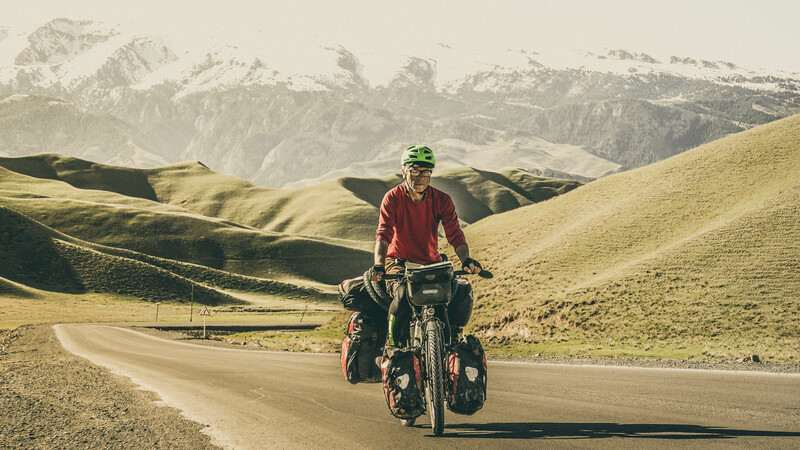 Mathew Crompton pedaled from Karakul to Rushon using a bikepacking setup https://www.matthewcrompton.com/journal/2017/8/19/bikepacking-tajikistan-a-practical-guide. 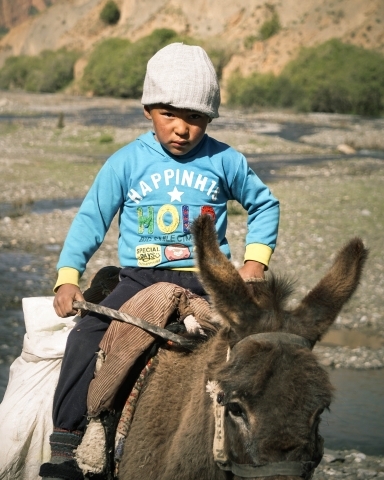 The Shakhdara valley is another rarely traveled route. It starts in Khorog. Arne Welzel https://dstuncertain.wordpress.com/2017/12/11/through-tajikistan-towards-kyrgyzstan/, Peter Gostelow https://www.crazyguyonabike.com/doc/page/?o=1mr&page_id=60559&v=yh and Bill Weir https://www.crazyguyonabike.com/doc/page/?o=1mr&page_id=91671&v=eF have pedaled it. We arrived in Sarey Tash with headaches and shortness of breath due to the altitude (3,000m) and ended up spending extra days there acclimatizing. We could have left after one day but decided that staying a couple of days more would leave us feeling better. 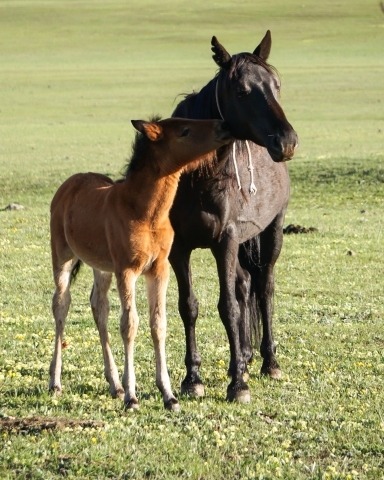 You can also take diamox pills to help acclimatize. We didn’t take them but have used them on a previous trip through the Himalayas. Some cyclists recommend heading from Khorog to Osh instead of the other way around since in that direction the climbs are more gradual and it leaves the highest point, the Ak Baital pass, for near the end. 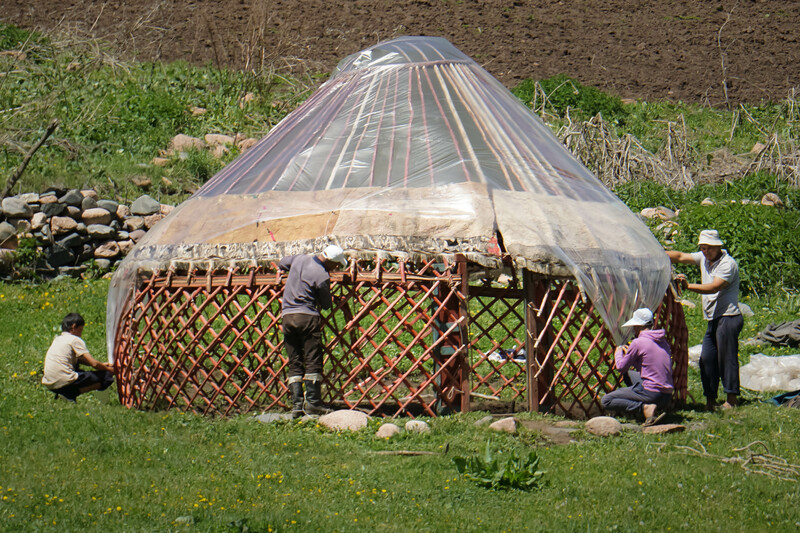 Electricity isn’t reliable in most Tajikistan villages on the M41 and in some places it will only be available for a few hours per day. 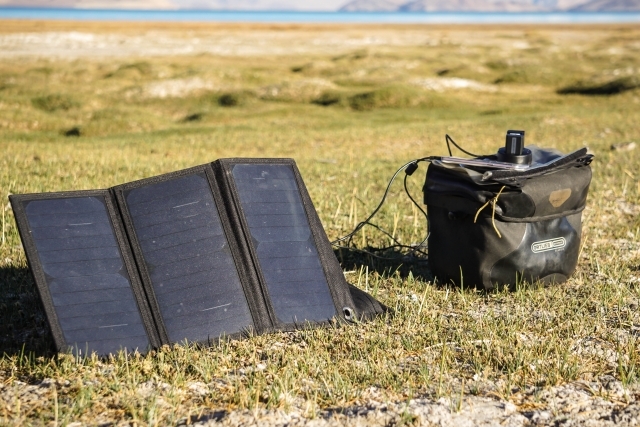 We were able to re-charge our camera batteries in the Pamir hotel in Murgab. I’ve also heard of cyclists who have managed to re-charge their batteries in guesthouses that have generators. Koitezek pass: 20 km of rough dirt over the pass. 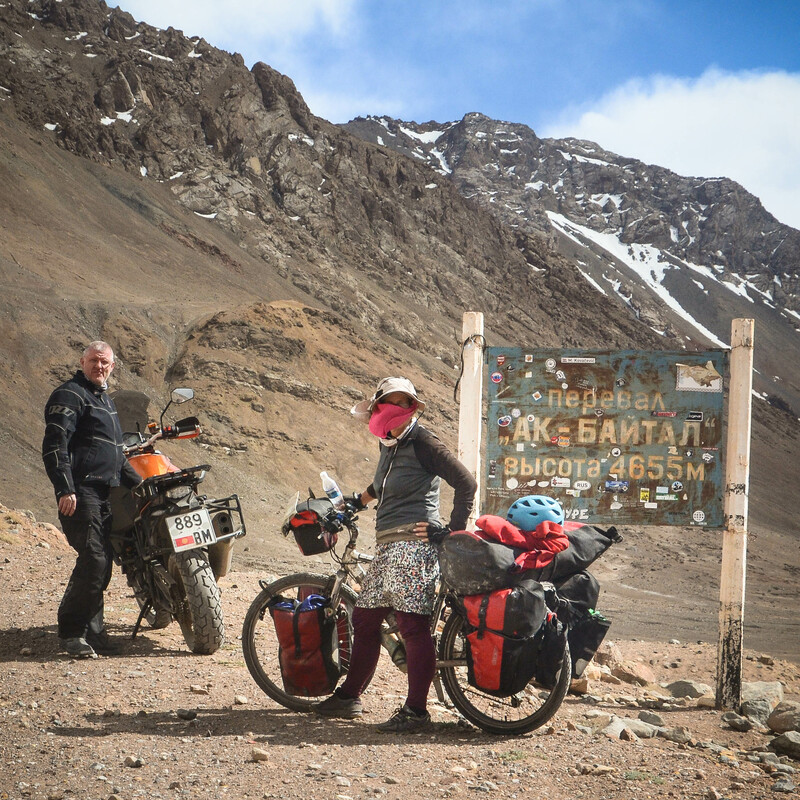 Ak Baital pass: The last kilometers before the top are unpaved. This is the highest pass on the M41 at 4,655 meters and the climb is mainly a gentle gradient until the last couple of kilometers before the summit. Kyzylart pass: it’s 20 km of dirt road. Note: after the Kyzyl art (heading towards Dushanbe) the M41 lies in the ‘rain shadow’ of the Pamir mountains and you enter an arid desert. So you will rarely have problems with wet/slippery roads. But rain and snowstorms regularly hit the Kyzylart on the Kyrgyz side – and turn the pass into a sticky mess. When we headed up it in June, the road was dry. But when we headed back down it later in the season the road had turned into mud. 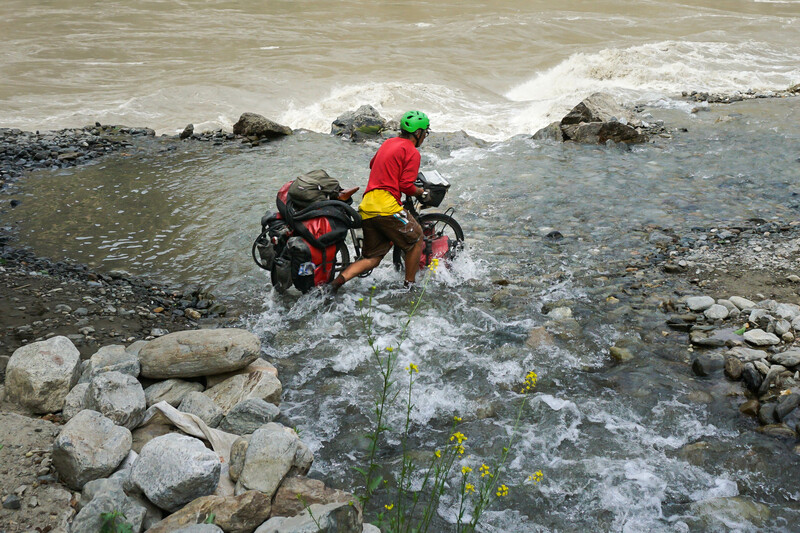 We slid down the pass and our bike wheels and brakes became encased in the wet clay. 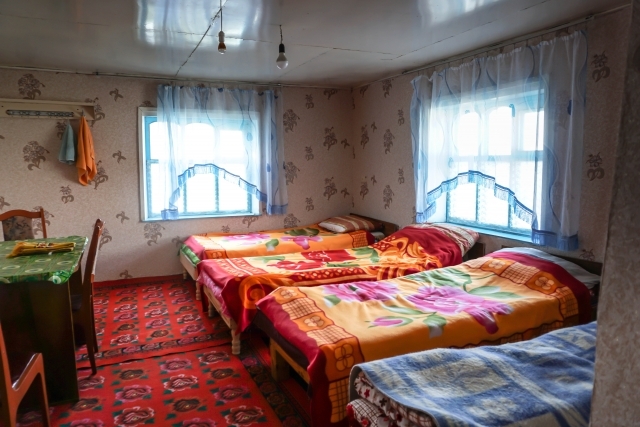 If you get caught in a snowstorm on the Kyzylart, there is a family living near the summit. The husband operates the snowplow to clear the pass and a number of cyclists have taken meals and refuge in their home. We brought in enough U.S. dollars to last for our whole time in Tajikistan. 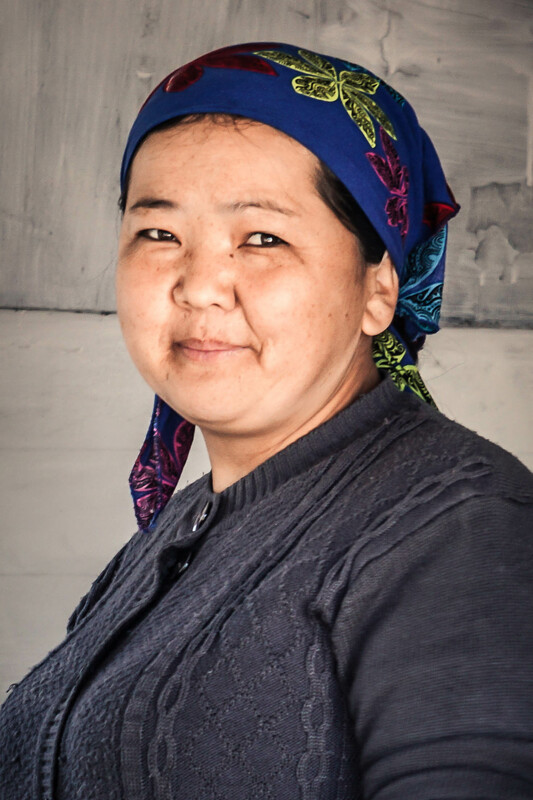 In Kyrgyzstan, the major cities such as Bishkek and Osh have functioning ATM’s. We bought a SIM card in Kyrgyzstan but not in Tajikistan since we heard that the internet phone connection there would be terribly slow. You don’t need a GPS for the Pamir highway and the Wakhan valley. There is only one road and even though there isn’t a sign marking the turnoff to the Wakhan valley – it’s still quite obvious. 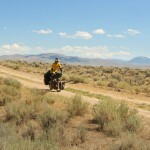 If you want to try some off-road cycling to the more remote places, consider using a GPS. The routes to outlying villages are via jeep tracks and as soon as the main track becomes too rutted the locals create new ones. When we rode from Bulun Kul Lake back to Alichur, we regularly checked our GPS to find out if we were still on the “correct” jeep track. 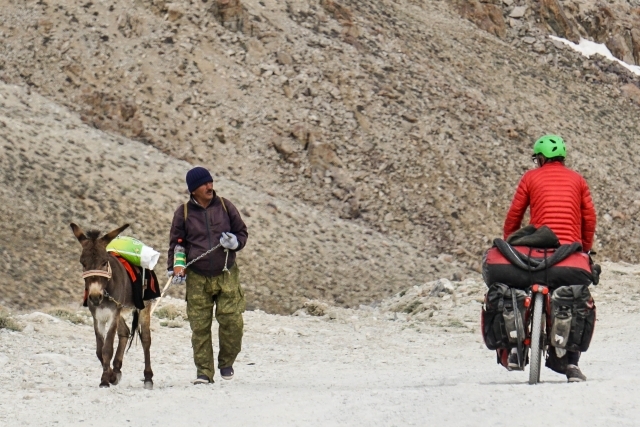 http://travellingtwo.com/resources/10questions/pamir-highway Information on cycling the highway in the winter. 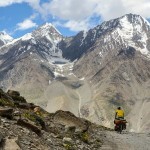 http://travellingtwo.com/13692 Extra information we wrote on pedaling the Pamirs during the summer months. https://impressions.bicyclingaroundtheworld.nl/pamirs-map/ Our own website. Check out the ‘Panoramas’ if you want to get an idea of the scenery alongside the highway. Thanks, Grace, for all of this incredibly helpful info about cycling the Pamir Highway. You should rewrite #7 after the news of today. Rene, Markus, Jay and Lauren will not be forgotten. And the attackers will not be successful in their attempt to instill fear.